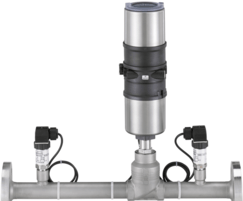 The Type 8750 flow rate controller is a system to measure and control gases using the differential pressure principle and offers precision flow control for efficient, accurate pneumatic conveying systems. 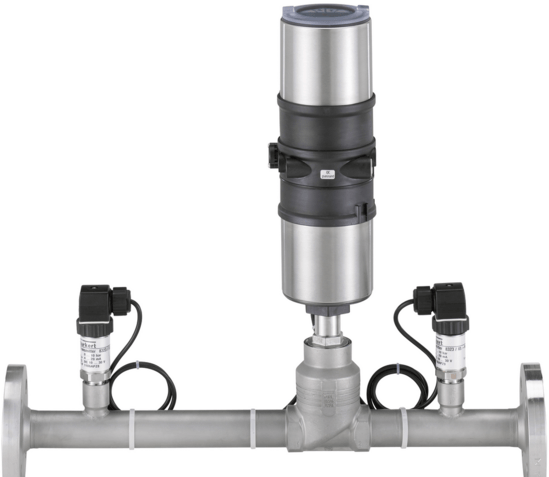 It combines together a closed loop controller, pressure sensors and a control valve to create an automated air flow control unit that can reduce operating costs and improve productivity through better flow control and management of the compressors. 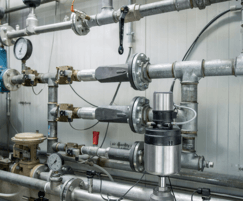 Using the pressure difference across the valve and the given density and temperature of the medium, a nominal flow can be calculated, providing the flow characteristics of the valve to the process controller. Pneumatic conveying is used by a wide range of industries including food and beverage, pharmaceutical, chemical and power generation. The Type 8750 air controller ia able to keep the consistency of the product and maintain a precise controllable flow of the product.